After some recording mishaps and technical troubles we’re back! We started watching the third season of Crazy Ex-Girlfriend which was recently added to Aussie Netflix. 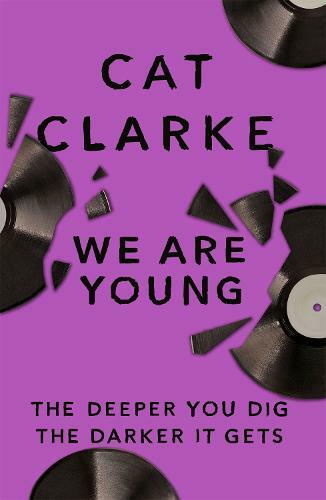 Caitlin and Michelle have both been reading We Are Young by Cat Clarke. Goodreads. Michelle is re-reading Code Name Verity by Elizabeth Wein. Goodreads. Caitlin has been watching the latest season of Jane the Virgin. Michelle and Jack have been watching season two of Marcella. Michelle also finished watching season four of Rake. This week we’re chatting to Mischa from Best Read Than Dead. 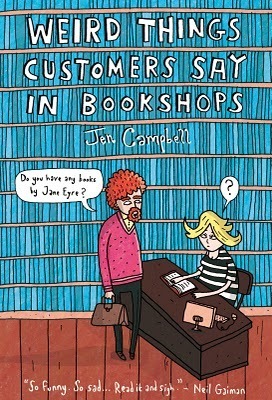 Have you read Weird Things Customers Say in Bookshops by Jen Campbell? Goodreads. We’re so disappointed we don’t live in Sydney and can’t take part in one of the many Better Read book clubs. We would love to visit Hay in Wales! Their Bookstagram meet-up looked amazing.